When the engine is running or the ignition switch is ON, the power window regulator motor assembly (for rear LH side) is operated by the power window regulator switch assembly (for rear LH side). The power window regulator motor has motor, regulator, and ECU functions. 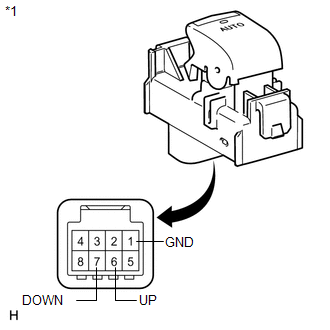 If the pulse sensor built into the power window regulator motor assembly (for rear LH side) malfunctions, the power window control system enters fail-safe mode. 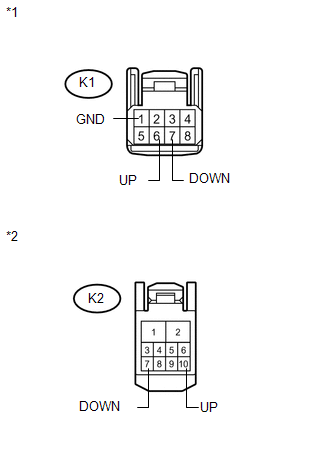 The remote up/down and auto up/down functions cannot be operated during fail-safe mode. 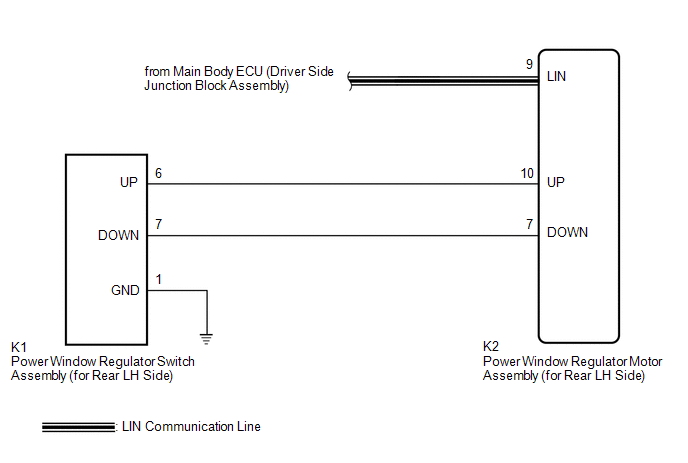 However, the power window can be closed by holding the power window regulator switch assembly (for rear LH side) at the auto up position, and opened manually by pushing down the power window regulator switch assembly (for rear LH side). (a) Enter the following menus: Body Electrical / RL-Door Motor / Data List. (a) Enter the following menus: Body Electrical / RL-Door Motor / Active Test. Rear LH power window operates normally.